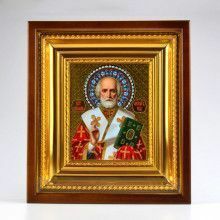 This Icon is a printed reproduction of Russian icon crafted by Russian monks living and working in Sofrino monastery workshop, which is located about 37 miles from Moscow, Russia. 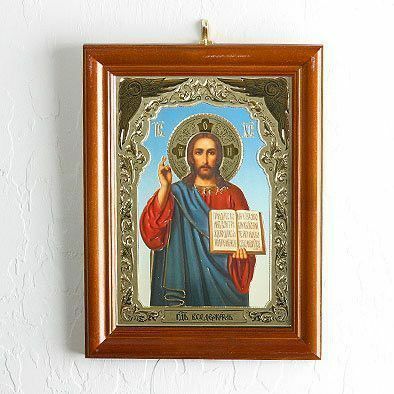 Features Jesus Christ holding the Sacred text. 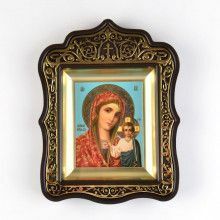 This icon has a double embossed gold leaf design on a cardboard and framed in wooden frame. 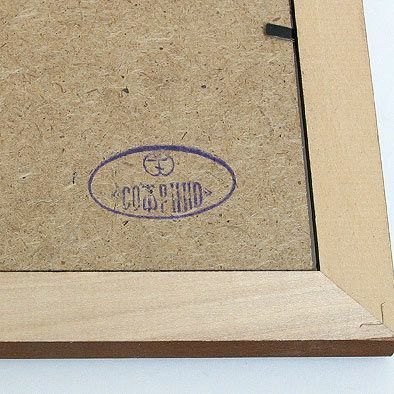 It comes ready to be displayed on any wall.